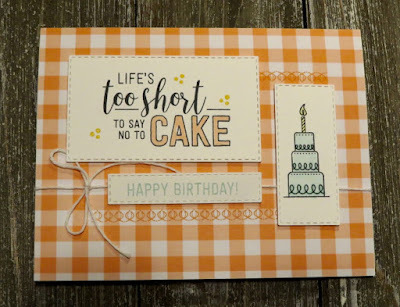 Karina's Kreations: Stampin'Up Amazing Life Sneak Peek! Stampin'Up Amazing Life Sneak Peek! 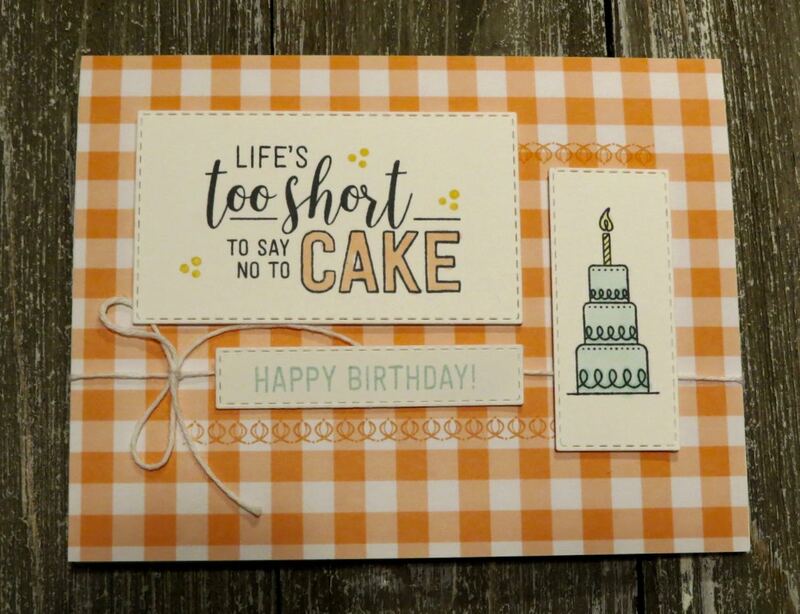 The new Stampin'Up Amazing Life stamp set has lots of great sentiments in fun fonts. I love that part of the sentiments can be colored in using Stampin' Blends or Stampin Write markers. I cased this cute card from the Occasions catalog. Can you see the stitching around the rectangles? It's the new Rectangle Stitched Framelit Dies. You can buy the stamp set and rectangle framelit dies in a bundle and save 10%. You will also get a free Sale-a-bration item. All the products on this card will be available Jan 3.